3Chongsa has returned! ^_^ with another trot song. Wish them well. 3Chongsa returns with new trot song! the trot trio 3Chongsa (or SamChongsa/ Three Musketeers) has returned! The adorable three garnered a lot of fans because, well, they’re cute. 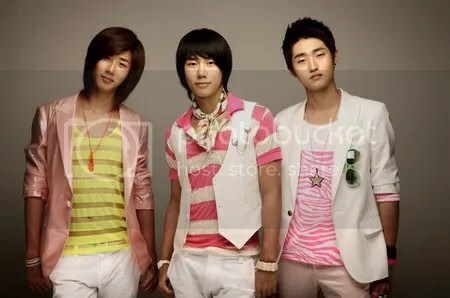 They may be eye candy to a lot of people but I loved them ever since I heard their ballad song. OMG! Kang Woo’s hair is *lol* so long. i’ll post up their profile today if I have the time.